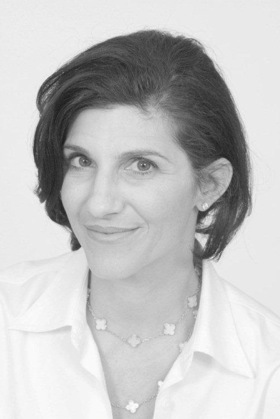 Michele Perri is one of the founders and principals of Greenwich Design Group. As a native New Yorker, Michele has been passionate about architecture, as well as interior and garden design for years. Her educational background includes a BS in Communications from Boston College, and a certificate from The New York School of Interior Design and The New England School of Art and Design. Sondra Peterson’s international travel and multiple residencies in San Francisco and New York City awakened a love of design and architecture study which led her to receive a certificate from The New York School of Interior Design. Sondra opened her own firm, The Peterson Design Group, in the mid 70’s. The company’s projects included space planning, contracting, project management and design for corporations, retail stores, restaurants, fitness centers, hotels and fine homes in New York, New Jersey and Connecticut. A fortuitous residential collaboration with Michele Perri led to the formation of the Greenwich Design Group. Greenwich Design Group LLC is a full-service residential interior design firm, devoted to creating custom interiors for discerning clientele. We work closely with each client to create a design concept that is functional, pleasing and aesthetically unique. And we take into consideration all visual aspects including interior architecture, color, furniture, window treatments, rugs, lighting, artwork and accessories to create a one-of-a-kind design experience. Our goal is to translate our client’s dreams into warm and gracious homes that are true reflections of their own personal tastes and styles. We love to incorporate client’s prized possessions and favorite furnishings to give their home a sense of history. Additions, renovations and new construction are a strong focus of the firm’s work. We have the ability to work as a team with the architect and builder, which is very advantageous to the client. Careful planning, before renovations or new construction begins, helps to keep the project on schedule and within budget. Greenwich Design Group LLC, specializes in timeless design which translates into any genre. Whether traditional, transitional, or contemporary – each style has certain elements of fine design which will look fresh and inviting for years to come. Staff members include experienced project managers and designers. Their day-to-day focus is to provide excellent client service and to manage the flow of purchase orders and the many other numerous details of the design process.